Patrons may place holds on desired materials either online or by contacting any CPL location. Chicago Public Library consists of the Harold Washington Library Center, Sulzer and Woodson regional libraries and over 70 neighborhood branches. Many locations experience sporadic closures to perform facilities upgrade or emergency closures due to heating or air conditioning issues, or area power outages. Independence Branch closed due to a fire in 2015. Whitney Young has been closed since November 2017 for major renovations. Woodson Regional Library reopened after a major renovation in February 2018. This data is for materials pulled to fulfill patron holds. In April 2017 Chicago Public Library migrated to a new integrated library system and the Holds Filled data is now calculated differently. Chicago Public Library consists of the Harold Washington Library Center, Sulzer and Woodson regional libraries and over 70 neighborhood branches. Many locations experience sporadic closures to perform facilities upgrade or emergency closures due to heating or air conditioning issues, or area power outages. Independence Branch closed due to a fire in 2015. Whitney Young has been closed since November 2017 for major renovations. Woodson Regional Library reopened after a major renovation in February 2018. 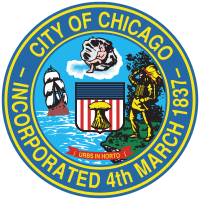 The Annual Appropriation Ordinance is the final City operating budget as approved by the City Council. It reflects the City’s operating budget at the beginning of the fiscal year on January 1, 2016.This dataset displays the positions and related salaries detailed in the budget as of January 1. It is extracted from the personnel portion of the Appropriation Ordinance. The dataset presents the position titles (without names) and salaries described in the budget, but does not provide a reflection of the current city workforce with full names and salaries. Disclaimer: the “Total Budgeted Units” column displays either A) the number of employees AND vacancies associated with a given position, or B) the number of budgeted units (ie. hours/months) for that position. “Position Control” determines whether Total Budgeted Units column will count employees and vacancies or hours/months. If a Position Control is 1, then employees and vacancies are displayed; if a Position Control is 0, then the total number of hours/months recorded is displayed. For information on the current city workforce, with names, positions and salaries, visit the "Current Employee Names, Salaries, and Position Titles" dataset: https://data.cityofchicago.org/id/xzkq-xp2w.